(a psychology student who delights and educates 700,000 fans every week) and Cyprien (a comedian whose videos have been viewed nearly a 1 billion times) are building global audiences on YouTube. And well-established cultural organisations like the Institut National de l'Audiovisuel are using YouTube to share French history and culture with viewers around the world. With all the creativity coming out of the French capital, it was obvious that we should open a YouTube Space -- a collaborative space with state-of-the-art equipment that can be used for free by anyone with a growing YouTube channel -- to help the local YouTube community find even more success. The Paris YouTube Space is our third in Europe - the others are in London and Berlin. Since 2012, more than 25,000 creators, from emerging comedians to established TV stations, have visited London and Berlin Spaces to produce over 1,500 high quality, highly original videos. Collectively, they’ve garnered over 225 million views and 16 million hours of watchtime from their fans. We’re happy to invest in our European YouTube Spaces because European creators are… well… talented and prolific! A quarter of videos watched on YouTube worldwide are created by Europeans, helping propel European culture onto the global stage. At the same time, YouTube has become a vehicle for Europeans to build businesses—more than 3 million creators and partners in Europe make money on YouTube from advertising and we’re looking at new ways to send even more revenue to our creators. 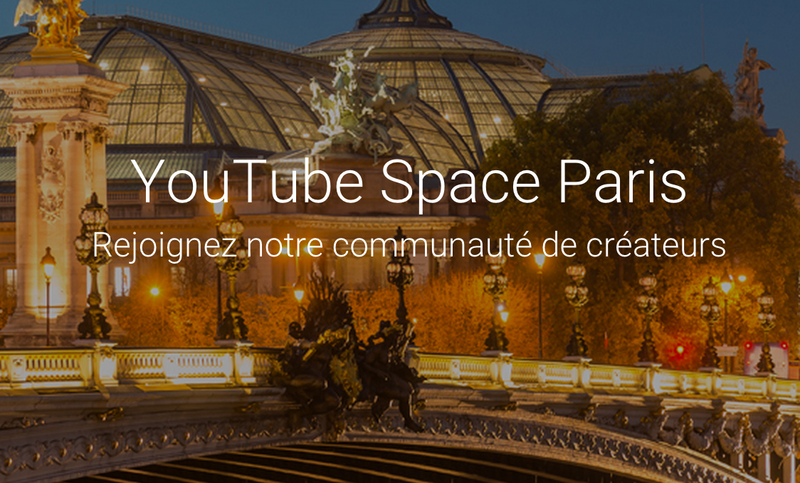 Back at the YouTube Space Paris, as we officially open the doors for the first time, the first month of workshops are already fully booked, and the excitment is palpable. It’s impossible to predict what the French communauté de créateurs are going to create here, but I can’t wait to see. And nor can the billion people out there on YouTube, waiting to press play. In France, just like in other cultural centres in Europe, the YouTube creative community is booming. French creators like Poisson Fecond (a psychology student who delights and educates 700,000 fans every week) and Cyprien (a comedian whose videos have been viewed nearly a 1 billion times) are building global audiences on YouTube. And well-established cultural organisations like the Institut National de l'Audiovisuel are using YouTube to share French history and culture with viewers around the world. what is the main field ot your research ?